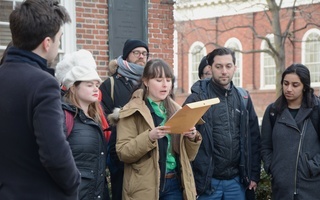 Chanting, lofting a banner, and shouting into a megaphone, a group of around 75 Harvard affiliates rallied in the Science Center Plaza Friday afternoon to support workers with Temporary Protected Status and show solidarity with an ongoing nationwide prison strike. 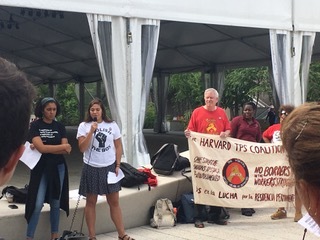 The rally was hosted by the Harvard TPS Coalition, a group of workers who include members of Harvard’s campus unions and advocate for Harvard workers with TPS. It was the coalition’s first public demonstration of the school year and its first partnership with Act on a Dream, a student immigrant rights organization. Temporary Protected Status is a designation the Department of Homeland Security grants to certain foreign nationals who are unable to return to their country of citizenship due to unsafe circumstances like an armed conflict or natural disaster. TPS recipients can legally live and work in the U.S. and are immune from deportation. University affiliates rally to support workers with Temporary Protected Status. Over the past year, the Trump administration has terminated the program for citizens of El Salvador, Haiti, Nicaragua, and Sudan, collectively ending protections for over 250,000 people. Doris Reina-Landaverde, a Harvard custodian who is a TPS recipient, helped organize the event. She said the event showed the connection between issues of labor, incarceration, and immigration. 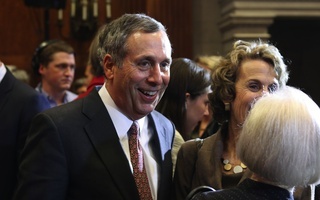 Reina-Landaverde said she hoped University President Lawrence S. Bacow would follow in the footsteps of his predecessor, Drew G. Faust, in publicly advocating to protect immigrants. University spokesperson Melodie L. Jackson wrote in an emailed statement that the University is “deeply committed” to supporting Harvard affiliates impacted by the roll-back of TPS and other changes to national immigration policy. “We will continue to make every effort to have our voice heard and to advocate for permanent legislative solutions to these challenging issues,” Jackson wrote. “As faculty members, we need to fight for these issues not only because those affected are our students, our peers, and members of our campus community, but because they are also the critical moral imperatives of our time,” she added. 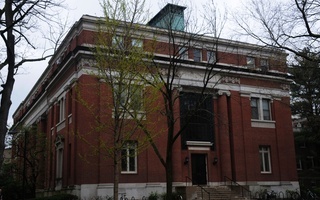 Cherrie N. Bucknor, an organizer for Harvard Graduate Students Union-United Automobile Workers and sociology Ph.D. candidate, agreed. She said Harvard employees impacted by TPS are integral to the University. 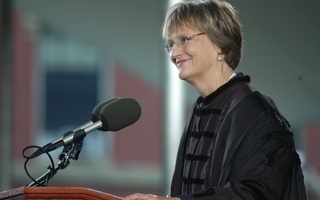 “Harvard University would be little more than an investment corporation if not for the work done in its dining halls, residence halls, and lecture halls," she said.